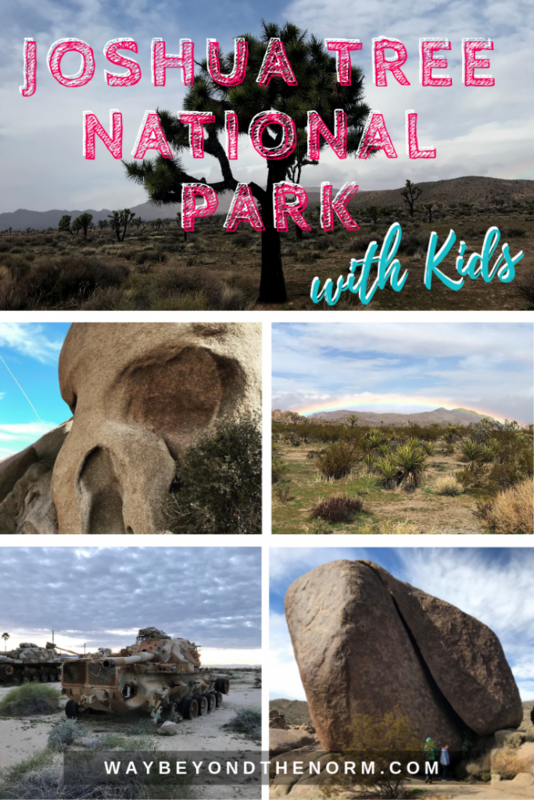 Have you been reading travel blog after travel blog gathering information for a trip you are planning to Joshua Tree National Park with kids? Then you’re probably overwhelmed with all the one-day itineraries out there. And you’re probably thinking one day to explore this national park with kids in tow just isn’t possible. 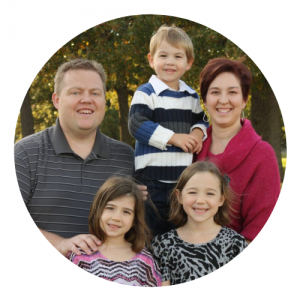 Take it from me…a mom, too. Don’t cram a visit to this national park into one day. 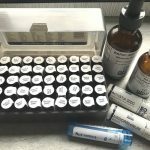 Plan for a week! New Here? 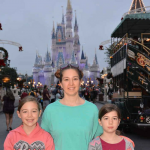 If you’re interested in more of our family travel information, we’ve got you covered! 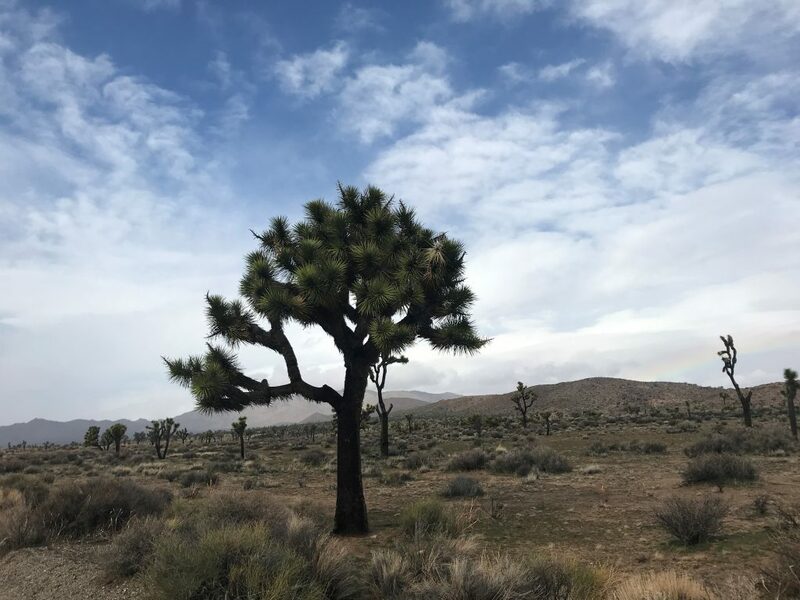 Joshua Tree is a national park in southern California that covers about 800,000 acres. Its southern entrance is located along I-10 and its northern and western entrances are located on highway 62. It’s just about a 2 hour drive east from Los Angeles. This national park has such diverse scenery that you’d think you were in another world. 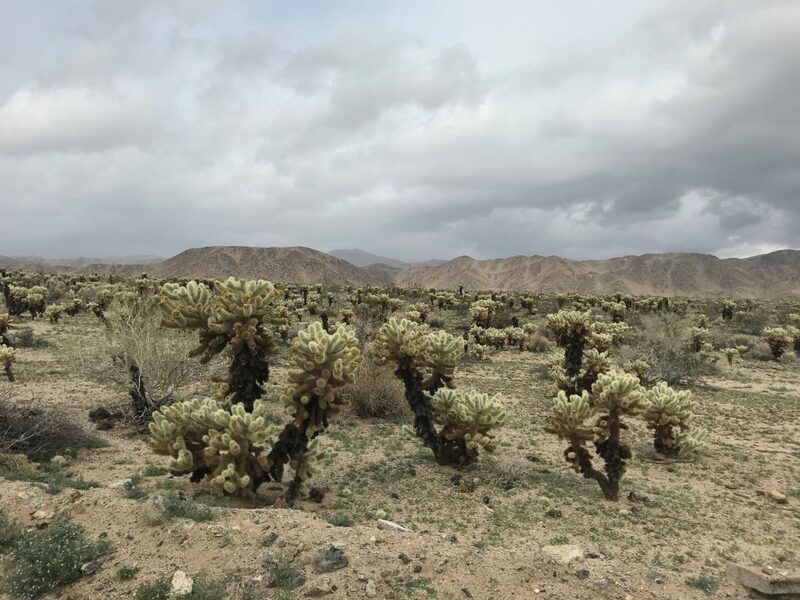 While we haven’t visited every national park in the U.S., the landscape throughout Joshua Tree seems to change more frequently than any other we’ve visited. 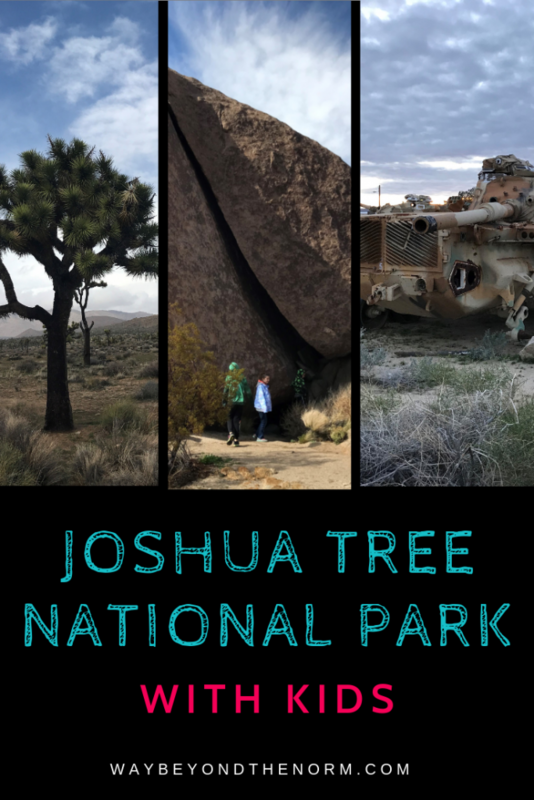 From giant rocks, to “jumping cactus”, to trees that look like they came out of a Dr. Seuss book, Joshua Tree National Park is sure to please the senses of both young and old and will leave you wanting more. 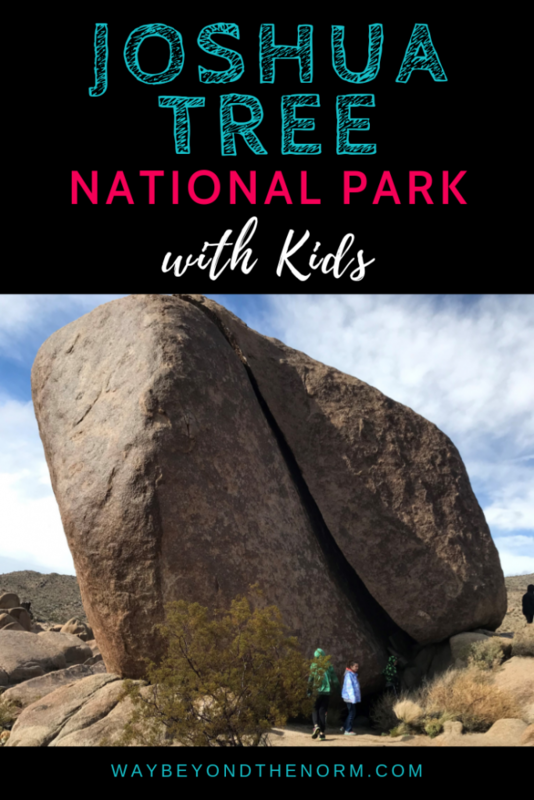 Once you start your journey through this amazing national park, you (or maybe your kids) will want to spend several days here. 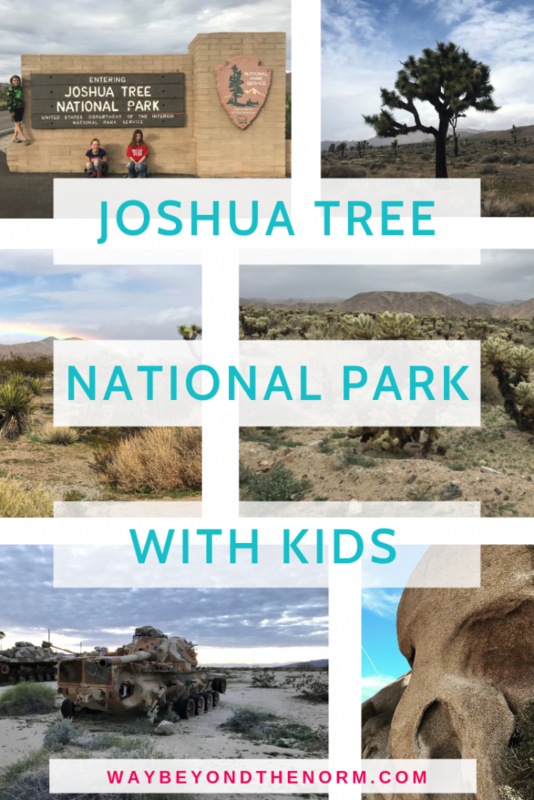 So read on for things you can do when visiting Joshua Tree National Park with kids. 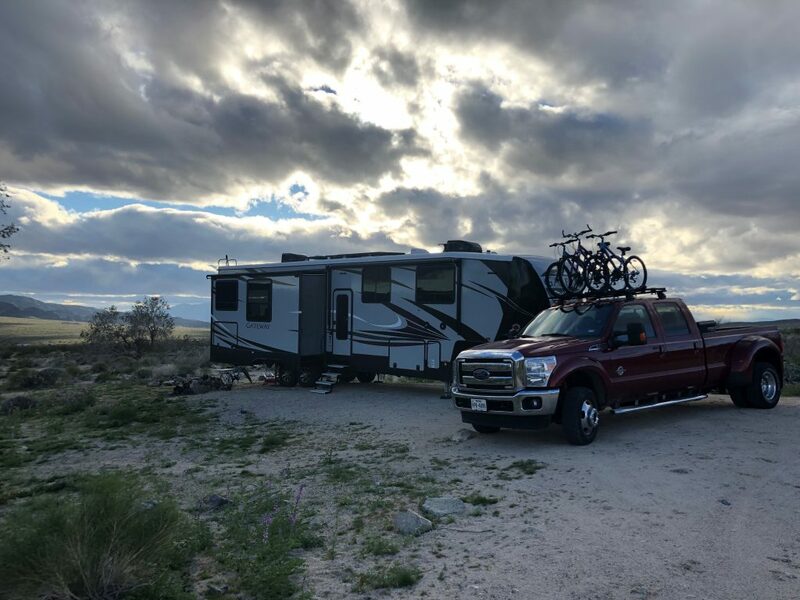 Camping makes for family fun and easy access to the national park so grab your RV (or rent one) and plan to do some camping. 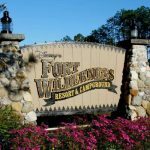 There are numerous camping areas within the park, or if you’re budget conscious like we are you can camp for free just outside the southern entrance to the national park. 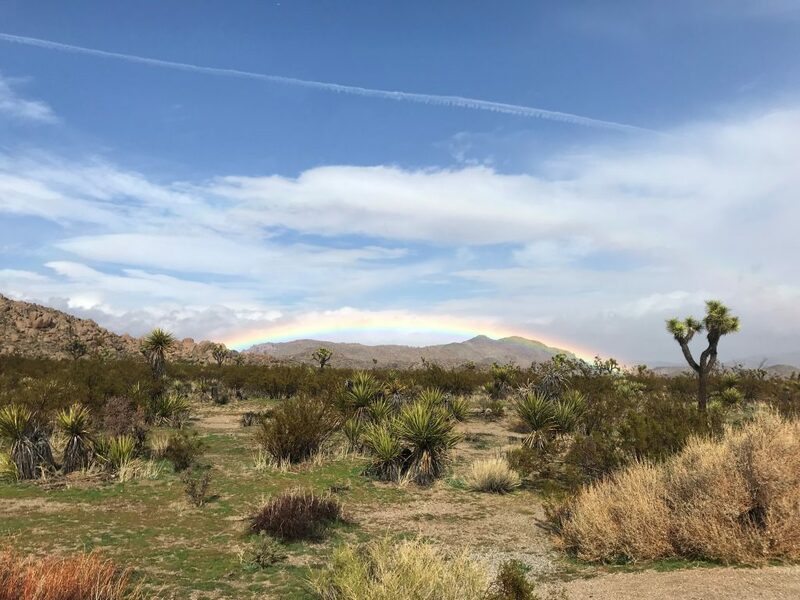 As you drive north from I-10 towards the south entrance, there are dirt roads to the left and right before the big Joshua Tree National Park sign. 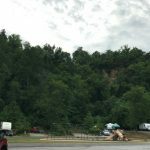 You’ll most likely see all the RVs parked off the road before you even reach the area. 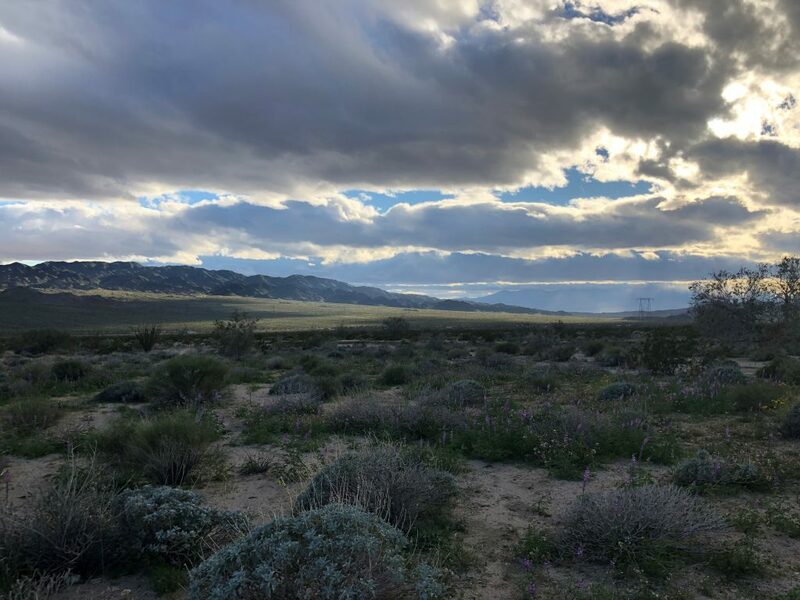 This is designated as BLM land and you can set up your RV and camp here for free. 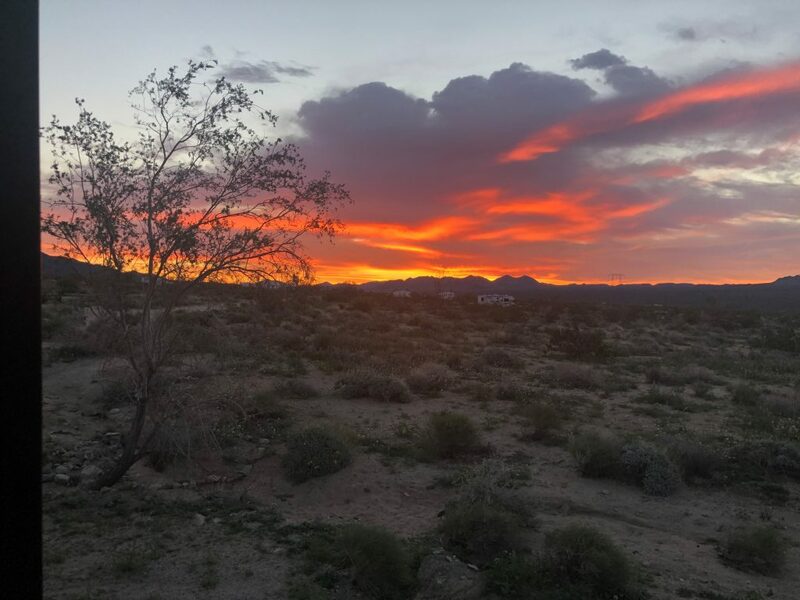 Be aware that there are no water, electricity, or sewer hookups on the BLM land or at the campgrounds inside the national park. 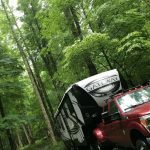 This means that your RV needs to be equipped for boondocking. 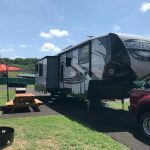 If you don’t have solar panels, a generator, or big enough water tanks to keep your family comfortable for a week, then you might want to spend the extra money to camp at an RV park in a neighboring city. We set up down the dirt road to the left of the main road right next to the first big wash. The area was quiet and the view out our living room window was amazing. The kids had a wonderful time in the afternoons playing in the wash and finding all kinds of treasures (rocks, bottle caps, wildflowers, and more). 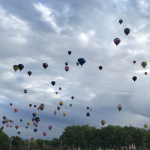 And our nearest neighbor was probably over 100 feet away. Take a day and just drive around the national park and surrounding areas. Driving through will allow you to admire the amazing scenery without having to adhere to any other plans. 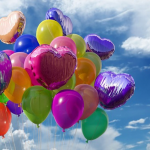 It’ll also give you and your kids a feel for what areas you want to spend more time exploring another day. If you’re staying at the BLM camping areas, be sure to drive those dirt roads. You never know where they might take you. 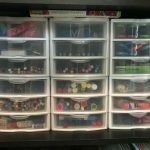 Do you have a child who loves history? Or maybe you have one that is enamored with tanks. 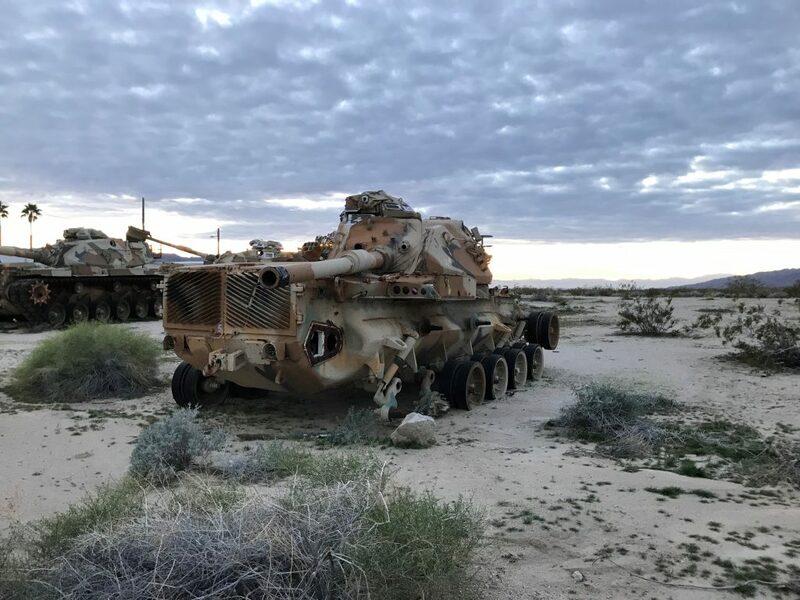 If you take the drive along the BLM dirt road to the right of the main road into Joshua Tree, you may just stumble upon the back side of the General Patton Memorial Museum. The museum is open 7 days a week from 9:30 AM to 4:30 PM. Tickets cost $10 for adults and $4.50 for kids 7-12 years old with kids under 7 getting in for free. The museum was closed for the day on the evening that we discovered it, so we didn’t get a chance to check it out. 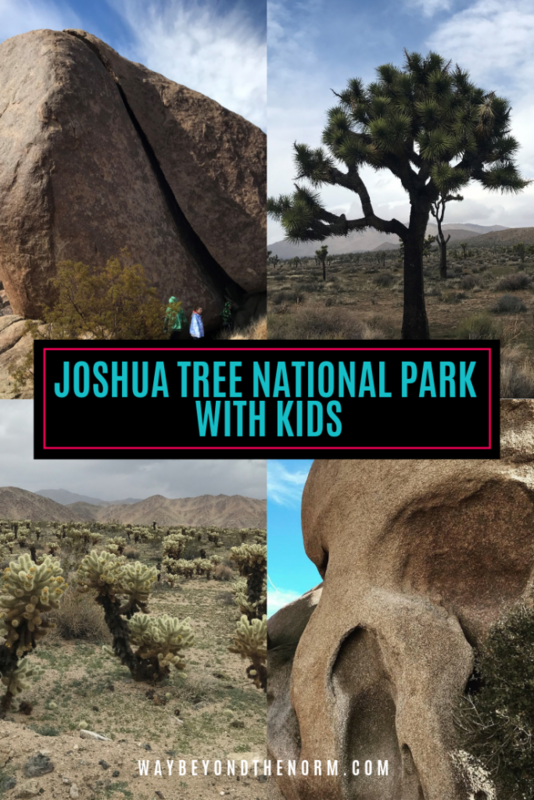 It will be on our list to do the next time we visit Joshua Tree National Park with the kids. Our kids aren’t much for long, difficult hikes. But tell them it’s less than a mile and they’re good to go! 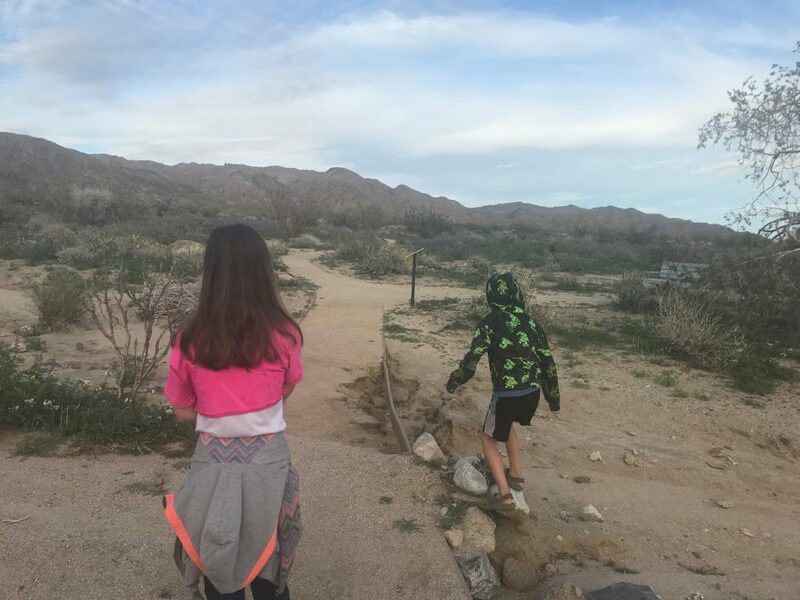 Here are a few of the hikes we enjoyed with the kids while visiting Joshua Tree National Park. Want to hike a great educational trail? 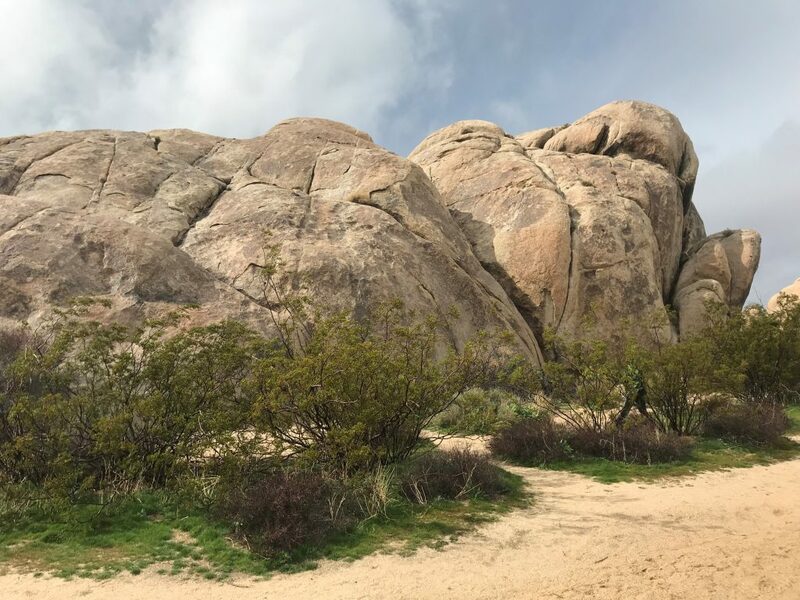 Bajada Nature Trail is a 1/4 mile loop trail just north of the south entrance at Joshua Tree. Take a stroll, read the signs, and learn to identify the different varieties of plants and flowers native to the area. If you homeschool like we do, it makes for a great botany lesson! Want to hike a trail that will visually blow your mind? 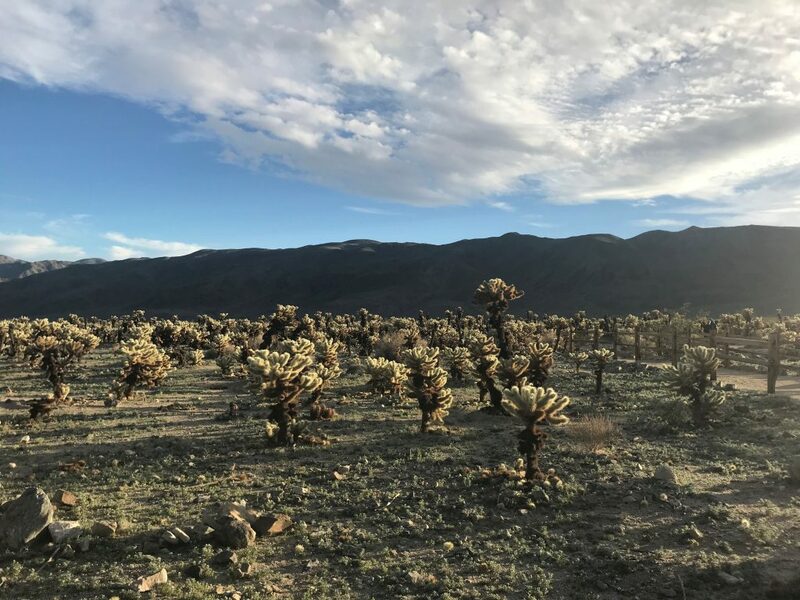 The Cholla Cactus Garden is a 1/4 mile loop trail found dead center in Joshua Tree National Park. 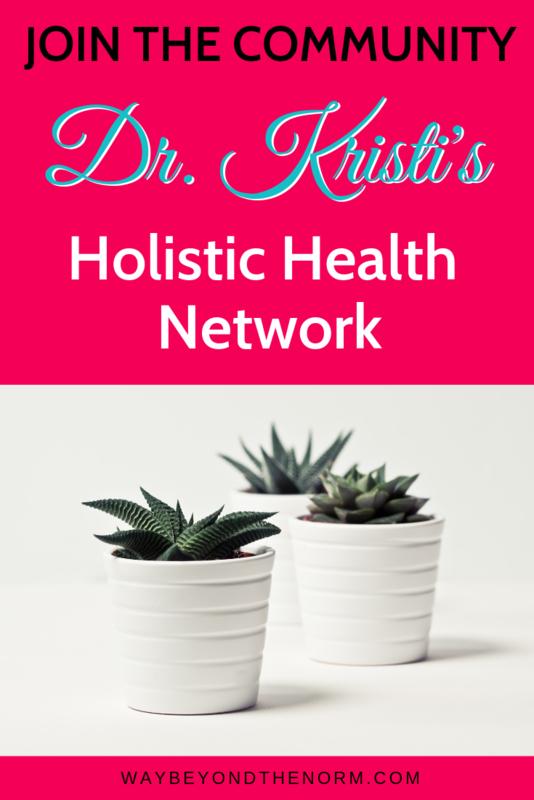 Be sure to keep small children close at hand, take your time, and spend a few moments standing in amazement in the midst of this garden of “jumping cacti”. Want a hike that will appease your little climber in the family? 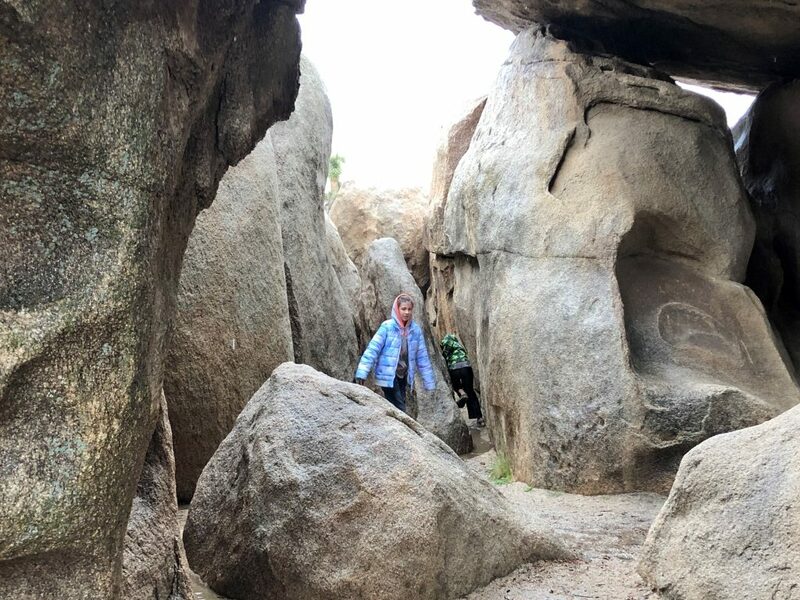 Skull Rock is a 1.7-mile loop trail with plenty of huge boulders to climb. 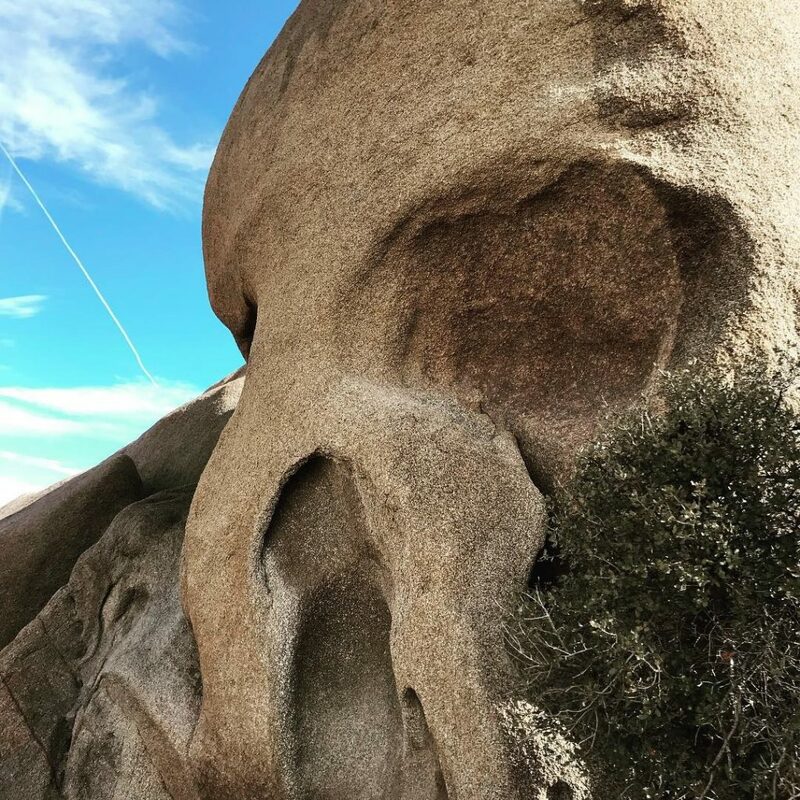 While we didn’t do the entire hike, we did a portion of it and stopped for a great photo of its namesake, Skull Rock. 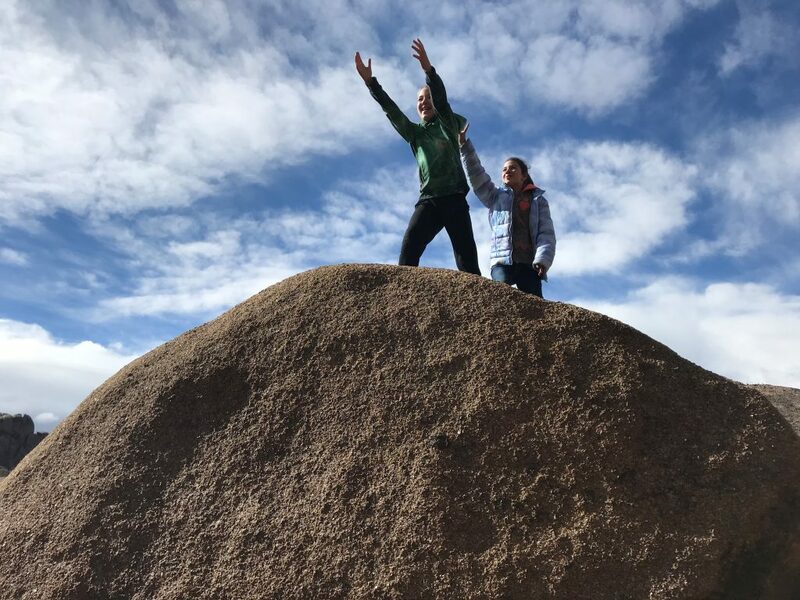 Do you have kids who like a little bit longer hike than the easy trails provide, but you don’t want one hike to take up a majority of your day? 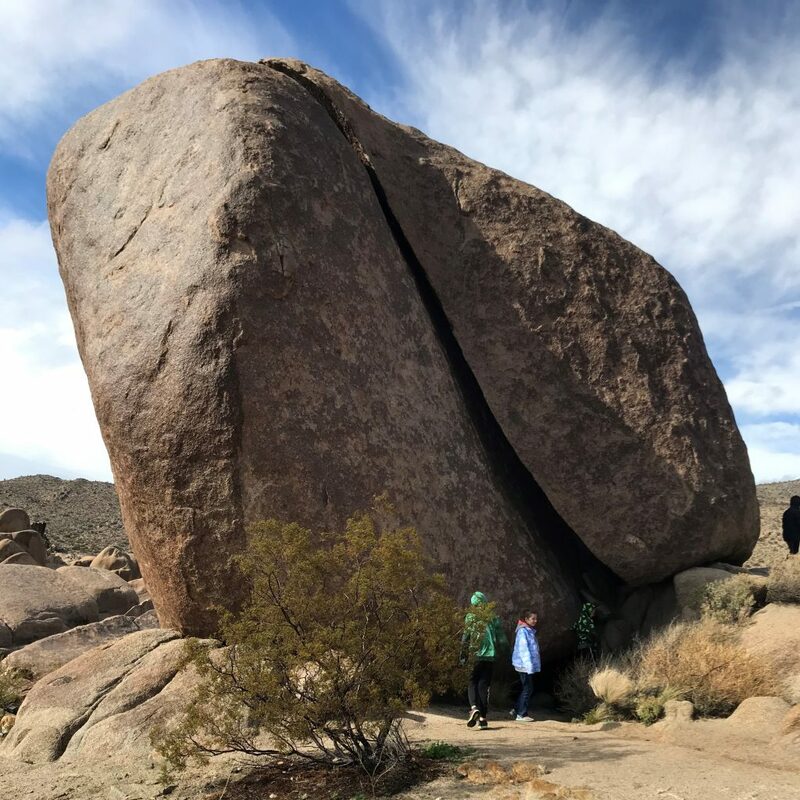 Split Rock Loop is a 2.5 mile loop trail that provides two great photo ops (Split Rock and Face Rock), boulders to climb, and beautiful desert scenery. Pack a lunch, hike this trail in the morning, and then when you’re done, have a bite to eat at the picnic area at the beginning of this trail. 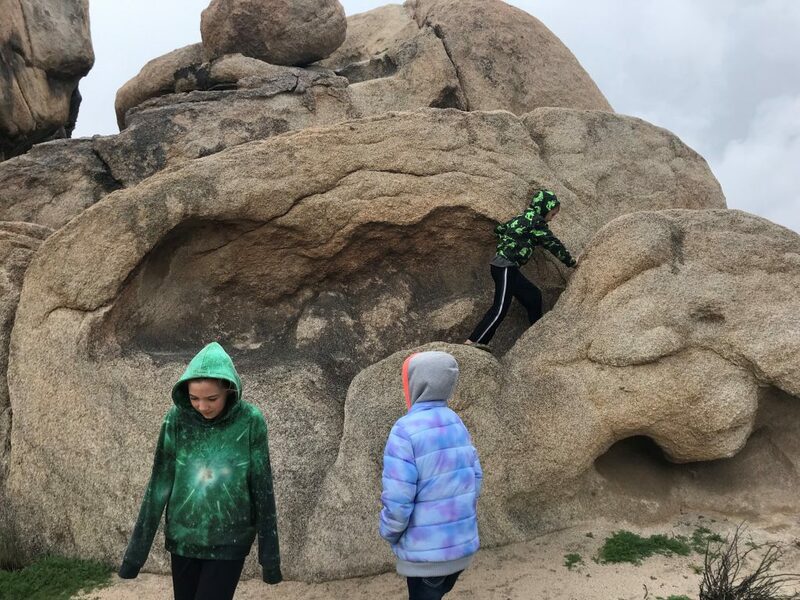 You can’t go to Joshua Tree National Park with kids and NOT play on the rocks. As I mentioned above, there are quite a few trails that offer you the opportunity to climb on the huge boulders. But if you don’t want to go on a hike to find them, there are plenty of other areas where you can have some rock climbing fun. 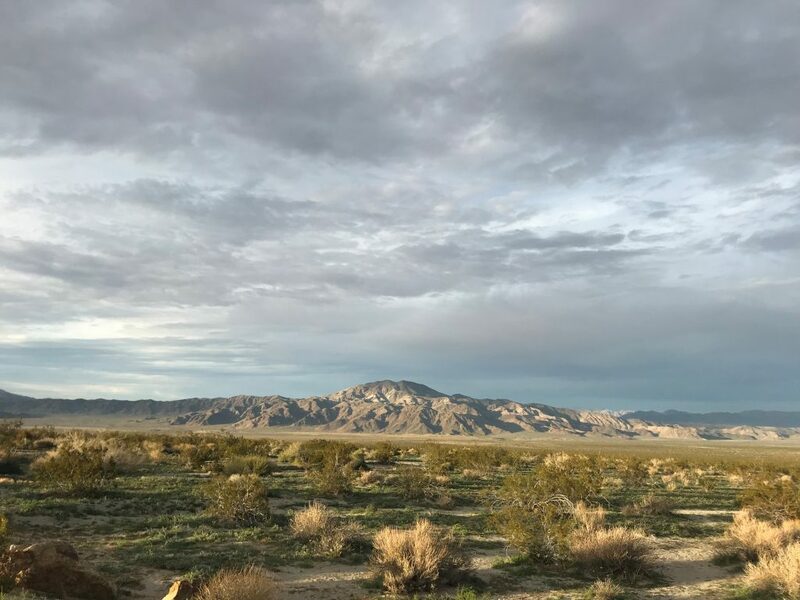 So I hear there are spectacular views of the San Andreas Fault at Keys View in Joshua Tree. And I hear the sunset at Keys View should not be missed. 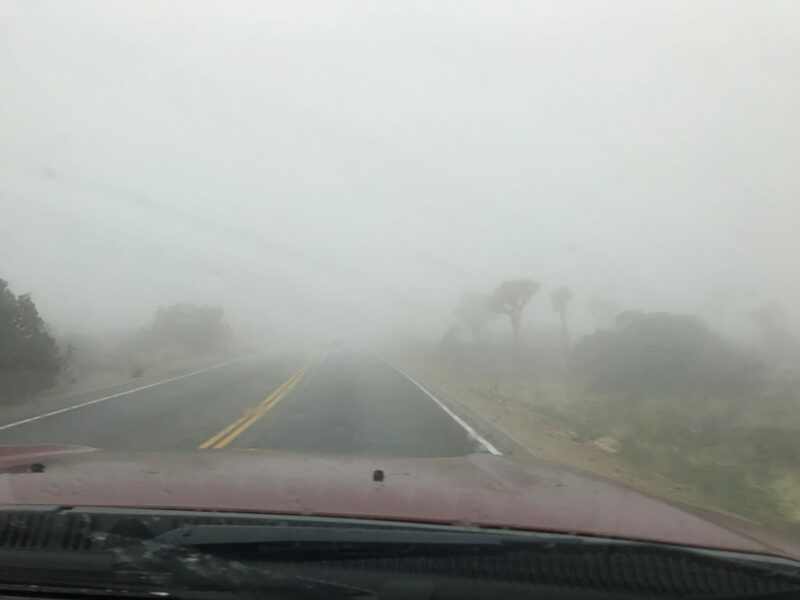 We hope to get better weather the next time we head to Joshua Tree National Park with the kids so that we can actually experience this for ourselves. 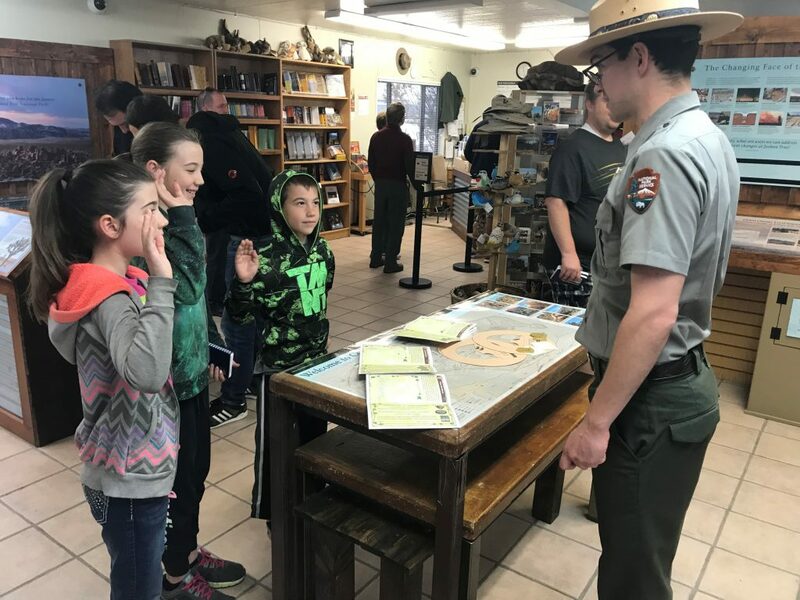 Every national park has a Junior Ranger program kids can participate in at the visitor’s center. 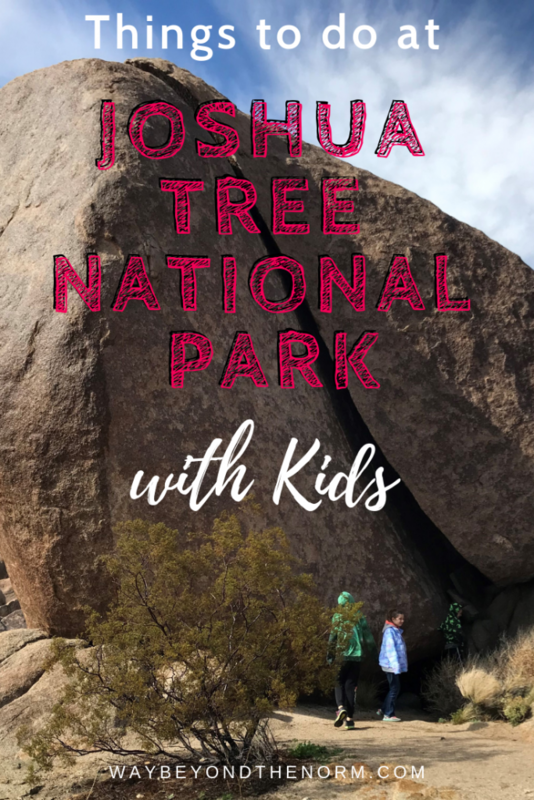 Be sure to stop in, grab the activity books, and have the kids fill them out during your visit to Joshua Tree National Park so they can get their Junior Ranger badges before you end your trip. 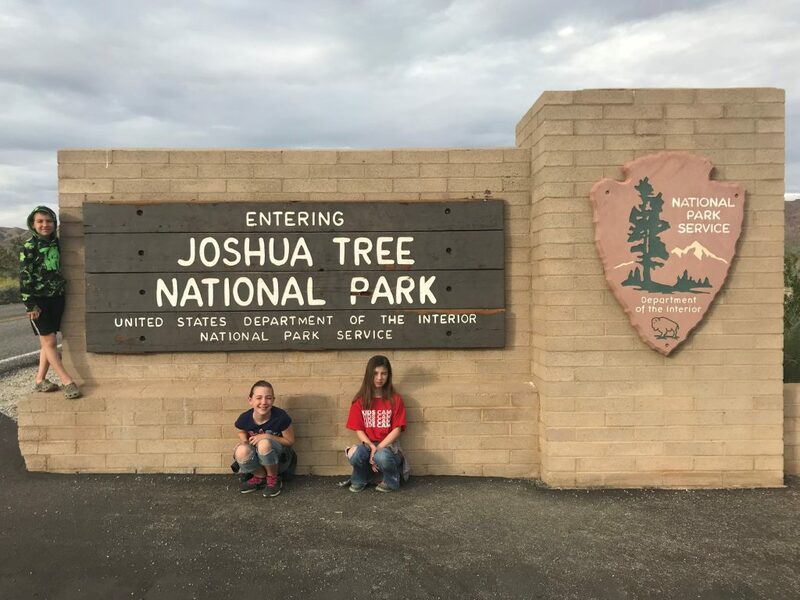 There are so many things to do at Joshua Tree National Park with kids that one day just won’t be long enough. Ditch the one-day itinerary and plan to stay a week in this desert wonderland. 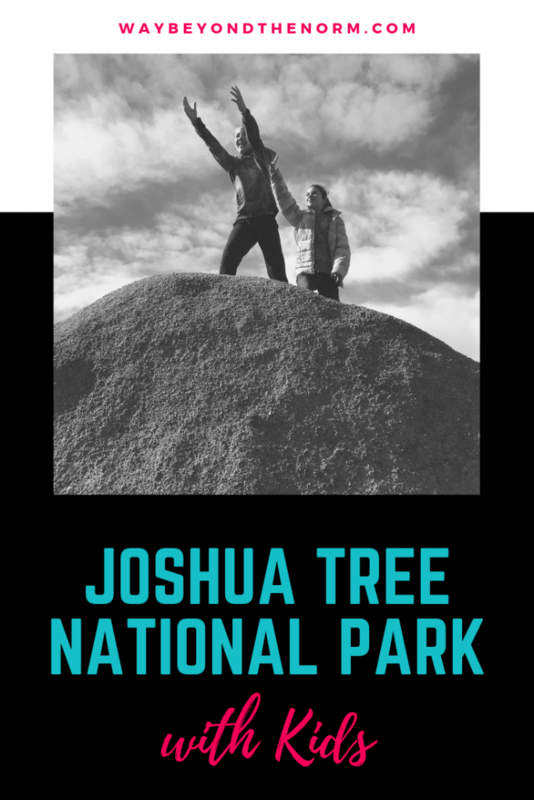 Have you made a family visit to Joshua Tree National Park? 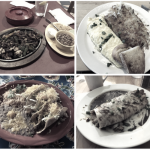 Let us know in the comments below what your family enjoyed the most during your visit. Also, be sure to pin this post to reference later!